“Tuesday Date Night” has become: “Whenever is convenient for us as we’re too tired and have other commitments Date Night”. Monday night we decided would be Date Night this week. Wanting to get out of the Thai food rut we’ve been in of late, we decided on the Trinity Bar. Close to home, wide menu and ok prices, but on the way past found it was packed. So we kept going. 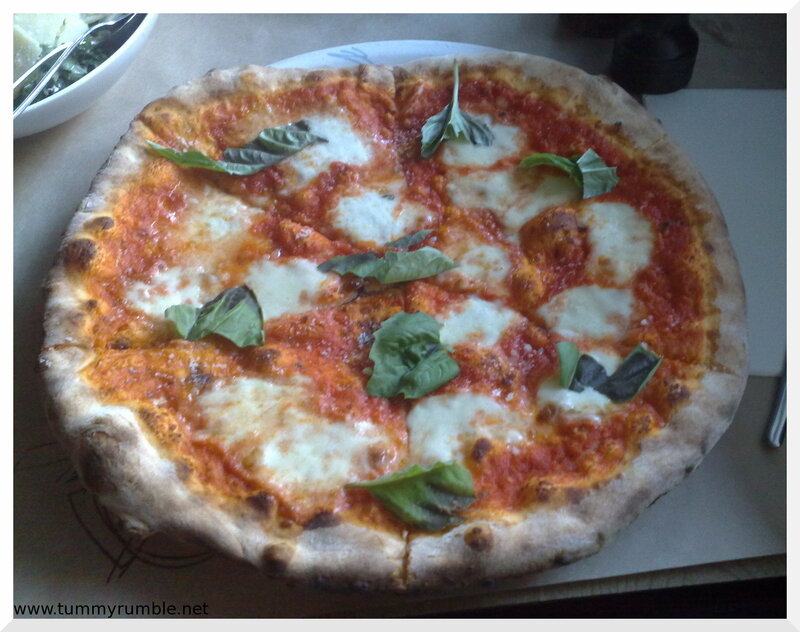 For my birthday recently I had wanted to check out Pizza e Birra, but at the time, their pizza oven was on the blink. A slight problem if you’re a pizza restaurant! Tonight, our luck had changed and there was space and the pizza oven was back online! 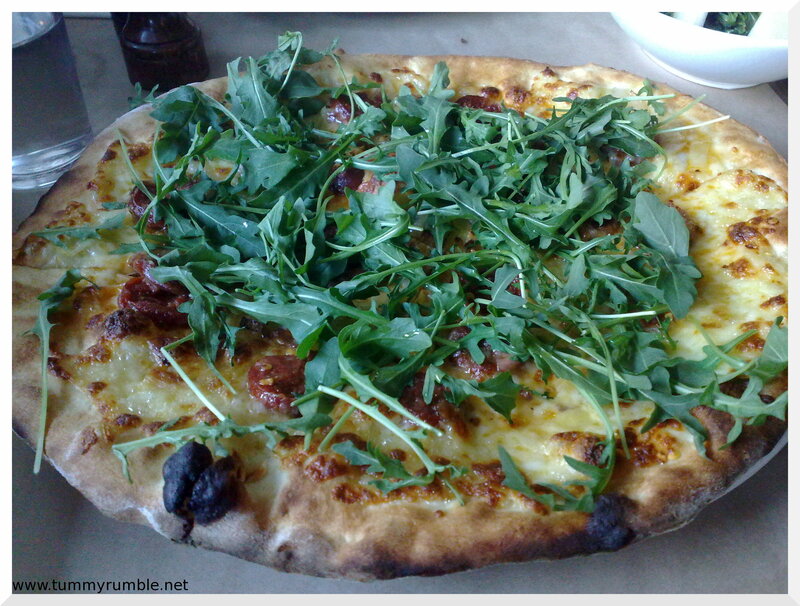 The pizzas are all one size and range in price from $19 – $26. 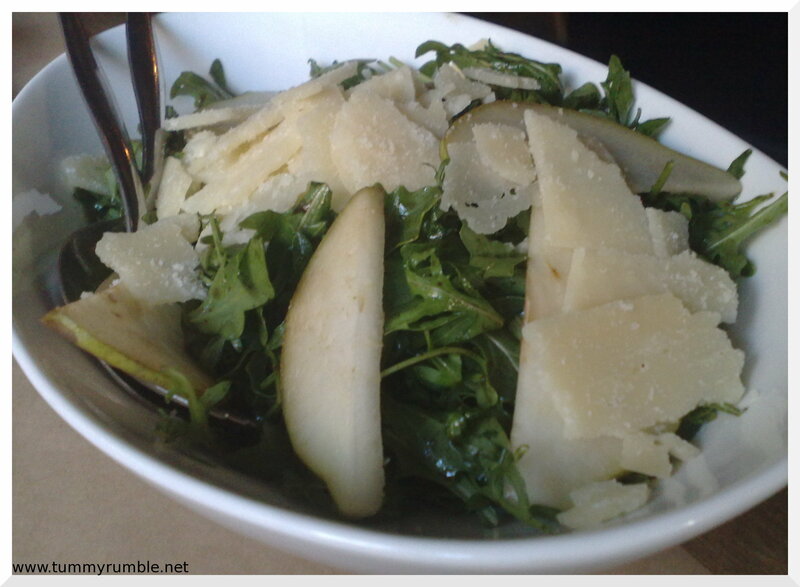 We also ordered the insalata di rucola: rocket, pear and parmesan salad with aged balsamic. This was a lovely but pricey side salad, no doubt the generous serve of cheese and the aged balsamic adding to the $15 price tag! One of the things I like about excellent quality pizza is the beautiful bottoms. 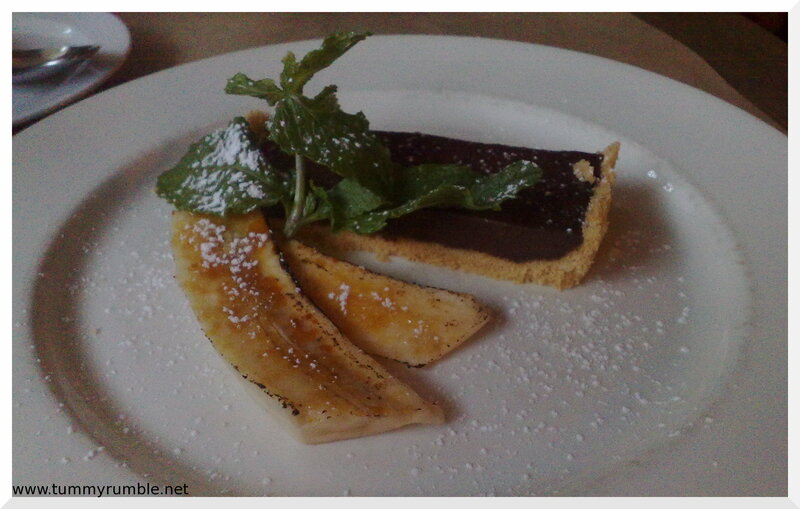 This was the only low light of our meal, the tart is obviously one made in bulk and kept in the fridge. It was ok. It was chocolate and that usually covers a multitude of sins! All in all, a pricey pizza joint great for a group (big round table in one corner), with very authentic pizza made with care. Hey, good review! i’m italian and i agree that they make real pizza! 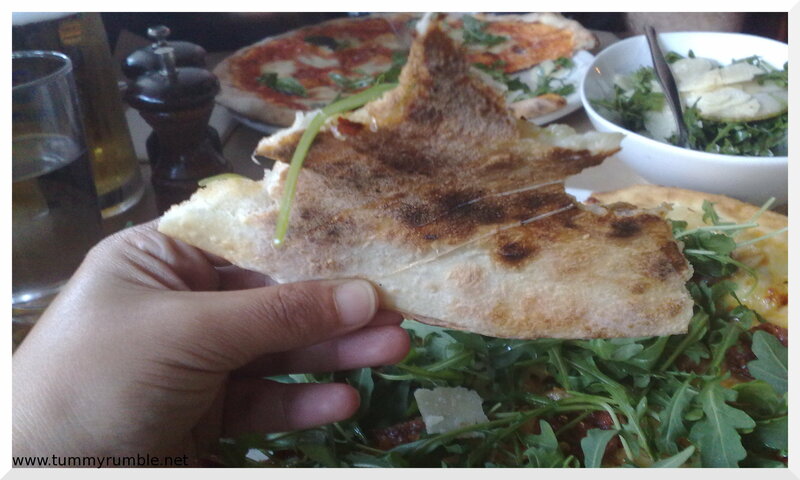 But you have to try Lucio in Republic Square..i think it’s the best i tryed so far.